Duration: 3 - 4 hours. Description: The first stop is Vikingaheimar, the home of the viking ship The Icelander, stop ther for 20-30 minutes. There we go to the Blue Lagoon and stop there for 2 hours before heading back to Keflavík. The first stop is Vikingaheimar, the home of the viking ship The Icelander, stop ther for 20-30 minutes. There we go to the Blue Lagoon and stop there for 2 hours before heading back to Keflavík. 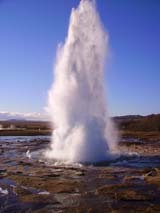 If you are on your way to Iceland for a short or long visit please feel free to tell us about your travelling requests. We will do our best to fulfill all of them. Airport Taxi is loacated only 3 min drive from the International airport in Keflavik Iceland. 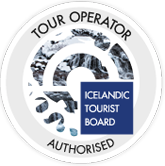 Our aim is that participants enjoy as much of Iceland´s unique landscape and scenery as possible. le.